A new patch has been rolled out for GTA 5 and this time the update the patch brings with it a slew of new content for GTA Online. The first is a new Adversary mode called Resurrection which basically plays like a combination of a dodge ball match and a death match where players can take down players but at the same time revive players from their own team for every kill scored. Resurrection can be played by up to eight players at a time and a minimum of four players. There will be seven locations where the new mode can be played – Aircraft Carrier, RON Alternates Wind Farm, and Elysian Island. 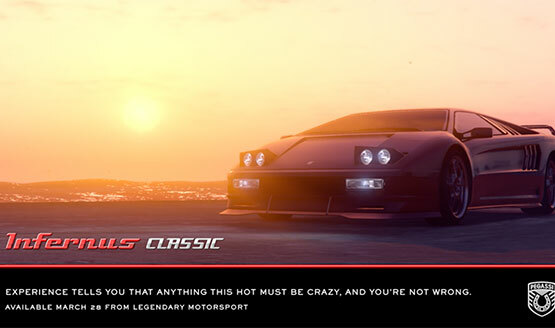 Secondly, a new Pegassi Infernus Classic vehicle can now be purchasable through the Legendary Motorsport store. The update is now live and, for a limited time, players will receive double GTA% and RP from Resurrection matches which might be enough to buy the Pegassi Infernus Classic.